A coronal mass ejection is heading our way right now. It will get here over the next day or so. It is expected to have only minor, momentary effects on communications. Sun spots are associated with increased numbers -- and sizes -- of solar flares and coronal mass ejections (CMEs). Such events have been tracked as much as possible with available technology since 1755. It's known that there is an 11-year cycle, and 2013 is expected to be a peak year, although not all events occur during peak years. Most, but not all, solar events emanate from near the sun's equator. The largest two events in history are more than 100 years apart: Quebec in 1989, and the "Granddaddy" of them all, the Carrington event, in 1859. That event caused widespread fires and sparks, especially at the terminus of long telegraph wires. But a lot has changed since then. The Quebec incident blew out several large transformers as well as other equipment at hydroelectric dams and substations over a large area. Another CME event is believed to have damaged a transformer at the Salem nuclear power plant, although it can be difficult to tell what damaged something: Was it poor maintenance, old age, loose connections, poor original design... sabotage... or a power surge that may or may not have even happened? Few transformers at nuclear power plants are designed to withstand Geomagnetic Disturbances (GMDs) and to make matters worse, even if they were, most are 30 to 40 years old, and are at the ends of their lives. Many utilities are failing to replace their old generators as they await relicensing decisions -- and CMEs. CMEs are massive and violent. They are comprised of protons and helium atoms being hurled out at tremendous speed. If they stream out in our direction, they'll take anywhere from 15 to about 40 hours to travel the 93 million miles to reach earth, at an average speed of between about two and six million miles per hour. When they get here, they can wipe out transformers and other things connected to the power grid -- after destroying satellites in space first. The blackout following the Quebec disturbance lasted about three days. But much larger disturbances, and much longer blackouts, are possible, which can -- not that it's likely, but it can -- wipe out the planet, thanks to the nuclear power industry. Nuclear power plants cannot survive a "Station Black Out" (SBO) condition for long, especially when everything else has been shut down, such as oil refineries, hospitals, other power sources, communications and transmission lines. There are no "manual" pumps for cooling the reactors. If the Emergency Diesel Generators get fried, if the batteries get frizzed, if the off-site power is lost, then it's just a matter of minutes, or perhaps a few hours, before meltdown. Then the spent fuel pools start to boil dry a few days later. The longer a transmission line is, and/or the higher its voltage, the more susceptible it is to the electromagnetic disturbances that result from the "electrojet currents" that spread across the earth's surface. These usually are the strongest at the north pole, but a visible "Northern Lights" effect has been observed as far south as the Caribbean. The entire electric industry is largely unprepared for this type of event, due to the costs involved. Retrofitting circuits with shunts for the extra power loads is expensive and time-consuming. Figuring out which transmission lines are most susceptible is no small challenge either. And then, during the time between when astronomers declare that a solar event is occurring, such as right now, and when it gets here, figuring out what to shut down or take off line can be difficult to assess in real time. Obviously, taking the nuclear power plants offline makes intrinsic sense, but one can hardly expect all ~440 commercial (plus research and military) reactors to simply take heed and stop making their million dollars per day, stop doing their research or heading for the enemy just on the "off chance" that the solar event will, in fact, hit us with all it's got. After all, Quebec 1989 didn't cause any meltdowns, and nor did the Salem event. For the nuclear industry, a miss like that is often used to prove the success of a plan. All it really proves is the industry got lucky -- again. The nuclear industry's entire existence is based on "careful" calculations of the odds against various events: Hundred year floods, thousand year earthquakes, and so on. They used to base their "safety culture" on something else, known as "Defense in Depth." But "DID" didn't work for large, rare events that could not be engineered against: Too-big earthquakes, too-tall tsunamis. So they admitted those events were: "beyond design basis" and then simply asserted they were too rare to worry about. Since then, such "rare" events have taken out three nuclear reactors in Japan, one in Russia, and several partially melted down in the United States and elsewhere, as well. Were these all such rare events that "no one" could have foreseen them? 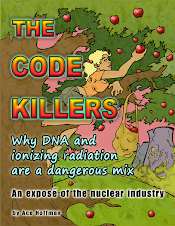 Or is the nuclear industry turning a blind eye to solar flares this year, just like in 2011 when they ignored Fukushima, 2002 when they ignored Davis-Besse, 1986 when they ignored Chernobyl, 1979 when they ignored Three Mile Island, and on and on? teleconference. Please dial in using toll free number: 888-323-9730, pass code 50556. Use the website to get more information following an NRC press release. This is the link to this Jan.16 meeting.